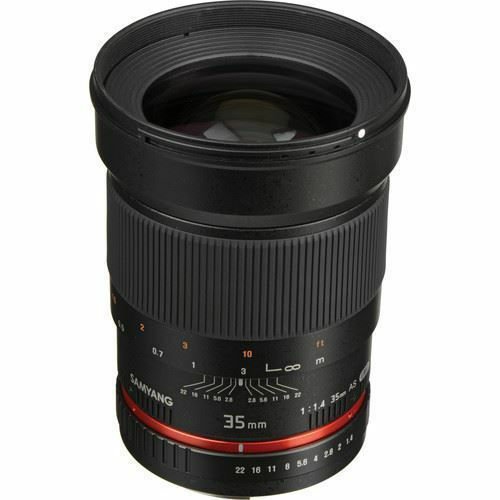 The Canon EF mount Samyang 35mm f/1.4 AS UMC Lens is a prime standard wide-angle lens designed for both full-frame and APS-C sized sensors; when used with an APS-C sensor the 35mm-equivalent focal length is 56mm. 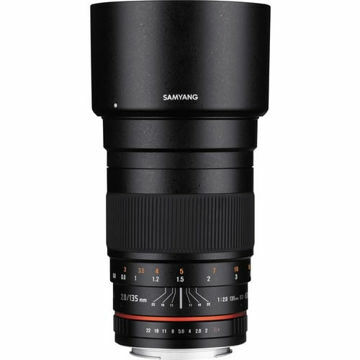 It is well-suited to working in a variety of situations ranging from landscape to portraiture. 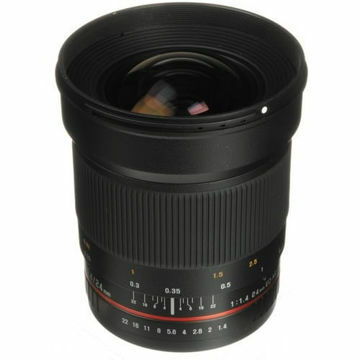 Its fast f/1.4 maximum aperture is further beneficial to working in low-light conditions and for greater control over selective focus and shallow depth of field effects.